We regularly write about the evolution of journalism (our last post can be found here). Perhaps not surprisingly, there are two separate trends. 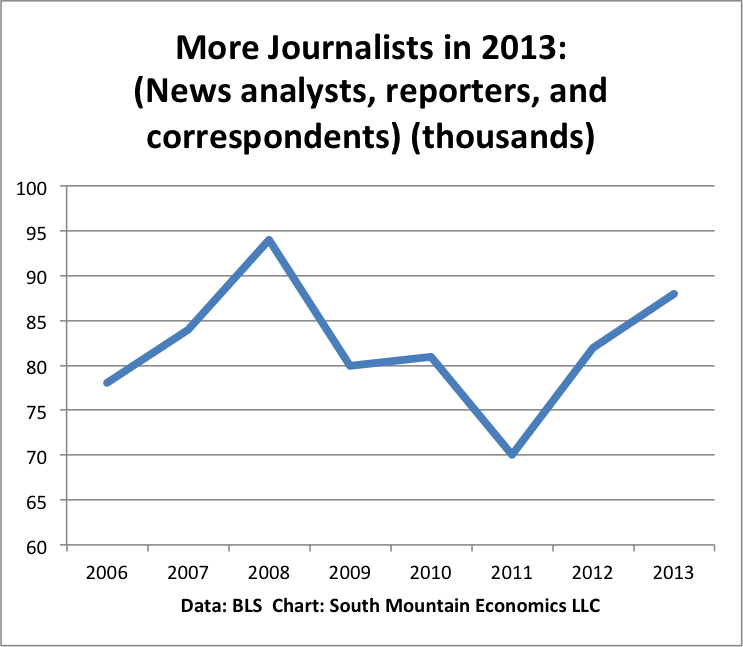 First, employment of “news analysts, reporters, and correspondents” was up 7% in 2013, continuing its rebound from losses in the Great Recession. 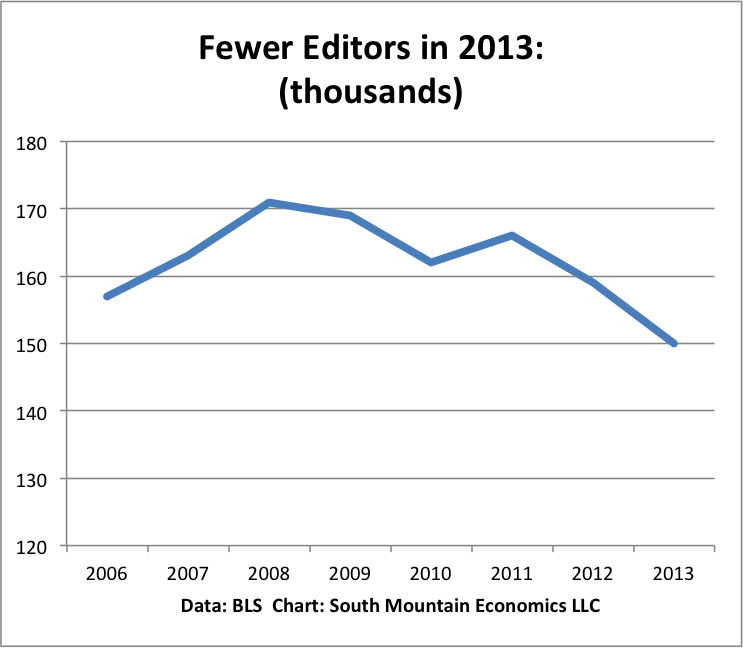 At the same time, the number of editors continued to fall, down about 6% in 2013. True, not all editors are in journalism. Still, these figures suggest a pattern…more journalists who actually generate content, fewer editors to process that content before it goes online. This entry was posted in Emerging Occupations by Michael Mandel. Bookmark the permalink.